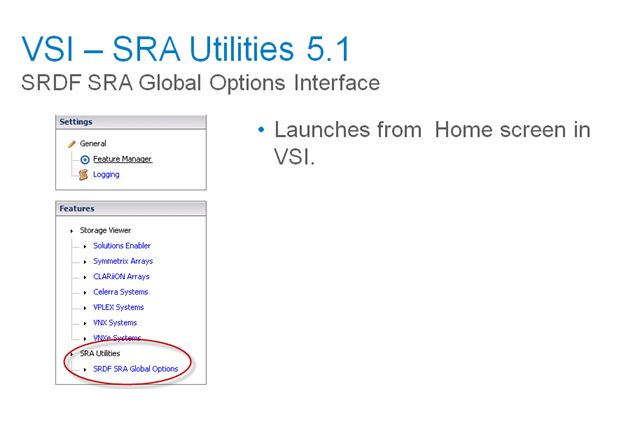 Virtual Storage Integrator 5.1 is here! 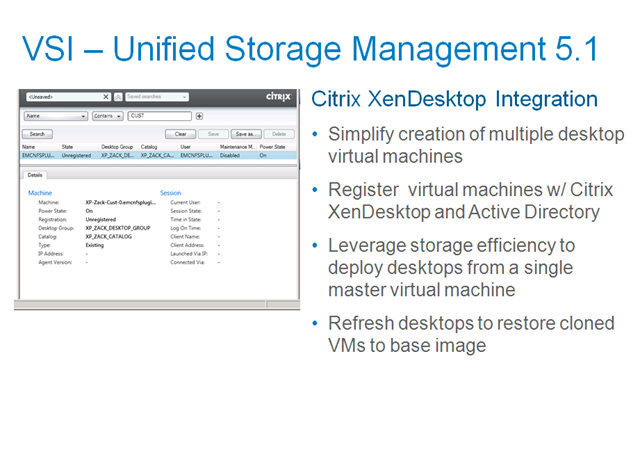 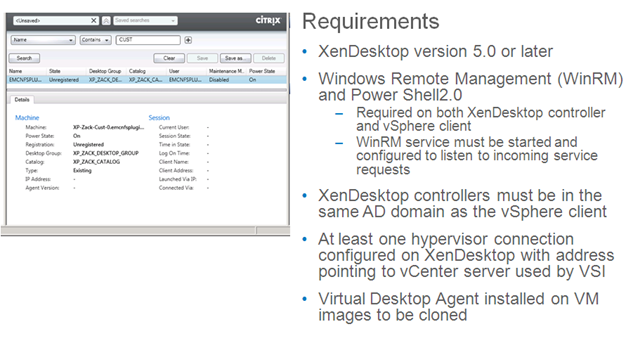 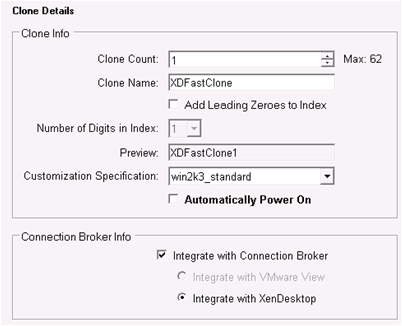 the first one is the CITRIX XD integration, this is quite a biggy in my eyes, iv’e been writing about CITRIX and EMC integration on numerous occasions in my blog and im very glad to see that we bring the CITRIX XD integration to be on par with the VMware VIEW one. 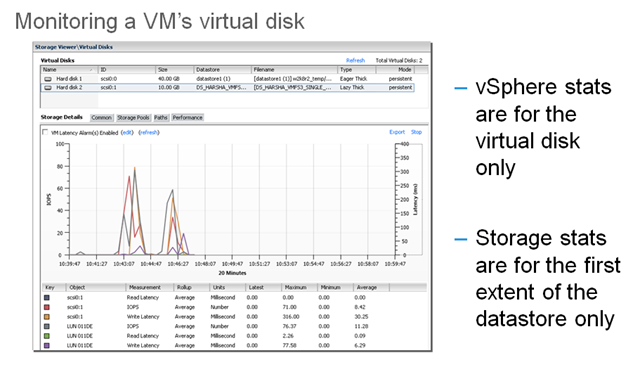 •A latency alarm will be configured for that VM only. 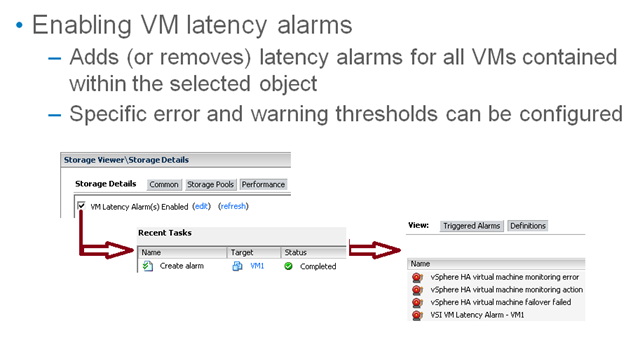 •A latency alarm will be configured for all VMs on that host. 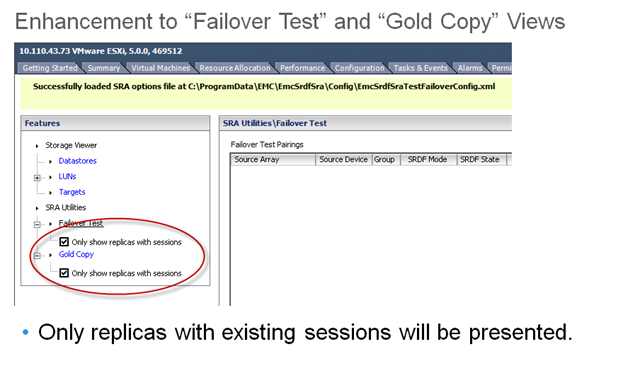 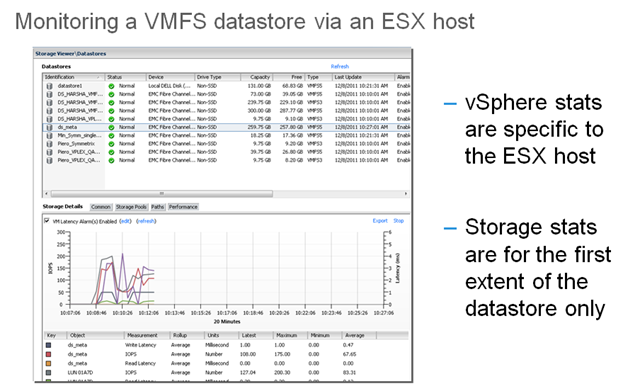 •Note: Selection of a datastore in the host’s datastore list will not affect which VMs are configured with the alarm. 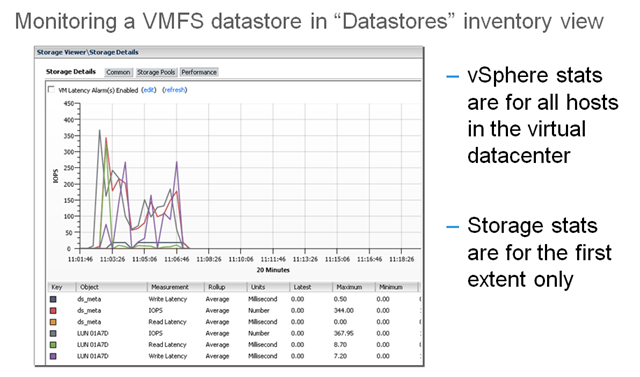 •A latency alarm will be configured for all VMs on that datastore within the current virtual datacenter. 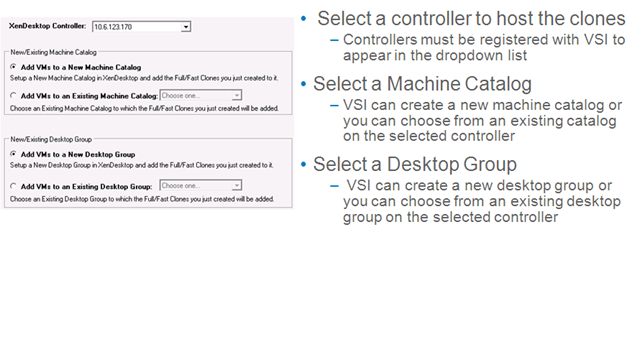 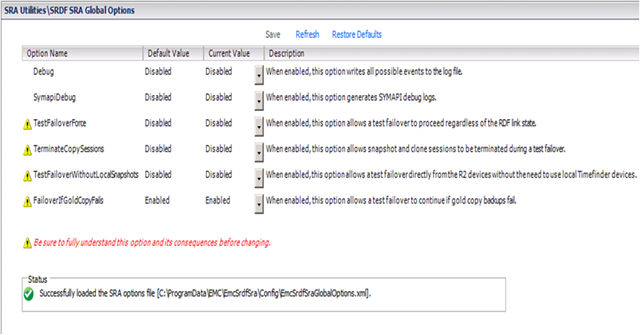 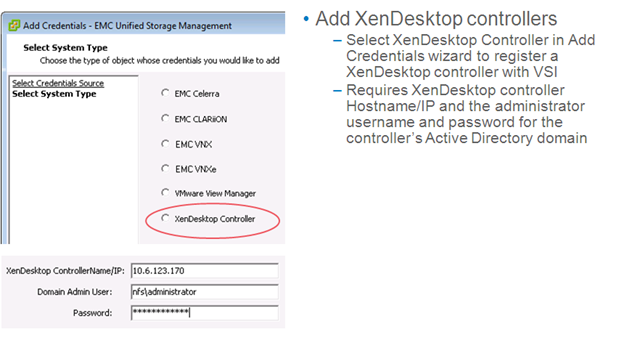 •Note: If a VM exists on this datastore, but in a different virtual center then it will not have an alarm configured.